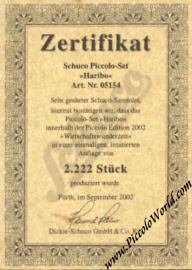 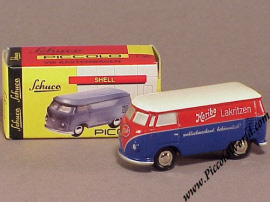 Schuco Piccolo Volkswagen Bus Haribo Lakritzen Gummibären Scale Model. 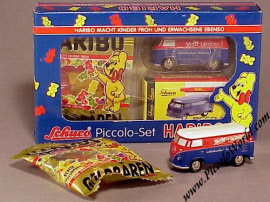 Issued in September 2002, this Bus was made for Haribo, the German manufacturer of "Gummibären" candy. 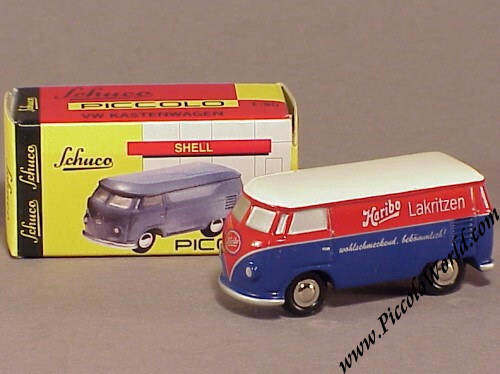 The bus is blue / red and carries elaborate "Haribo" print. The bus comes packaged in a very attractively styled box, comes complete with certificate and the set includes a mini bag of Gummibären (which will no longer be suited for consumption given that they were produced in 2002!). 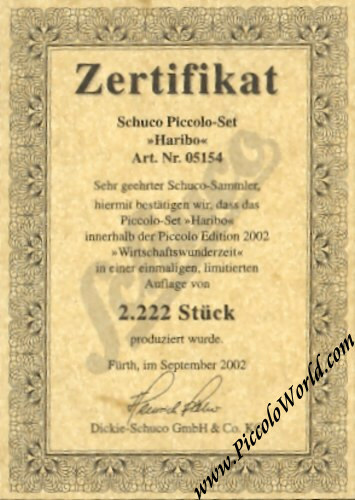 It is a limited edition of 2,222 pcs only, part of which went to Haribo, part of which ended up with the specialist toy trade.